It looks like AOL Music is shutting down. Dan Reilly, the editor of the music, is apparently tweeting from an HR meeting where his staff just got the news. Update: AOL Music, The Boot, Noisecreep, Spinner, and The Boombox are all going away. See the bottom of this article for more details. It’s currently unclear how many staff will be laid off and what deadline AOL is setting for itself. 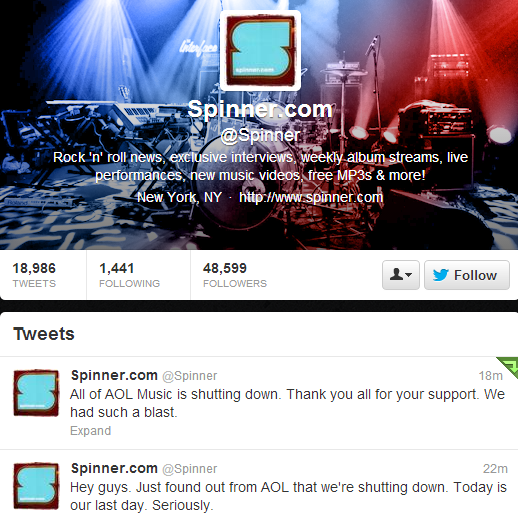 Given that the Spinner tweets were deleted, however, we can assume the company wasn’t yet ready to announce the shuttering publicly. Furthermore, Reilly’s third tweet seems to suggest that while AOL Music looks to be going away, Spinner may live on in some form. It appears that even he’s not sure what the final verdict will be. The music and entertainment site Spinner was acquired by AOL on June 1, 1999, along with Nullsoft for $400 million. 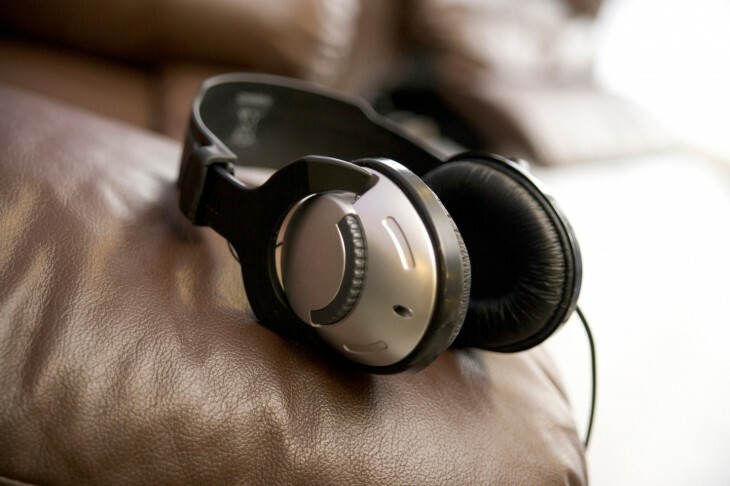 Based in San Francisco, California, it is largely considered to be the first Internet music service. In 2002, AOL combined Spinner with its Netscape portal to form Netscape Radio and in 2008, Spinner was revamped by AOL as a music site, featuring exclusive interviews with recording artists, streams of albums and live performances, and free daily downloads. We have contacted AOL for more information. We will update this story if we hear back. Update at 5:15 PM EST: AOL Radio has confirmed the shuttering of AOL Music, and more. The Boot, Noisecreep, Spinner, and The Boombox are also being axed. For those who are inquiring, @aolradio will still be around and we will continue to be bringing you the best music experience.